A Sophie Collins Mystery, Book 2 by Madge H. Gressley is for young adults. Fifteen-year-old heiress Sophie Collins and her friends explore an abandoned lodge and become curious after seeing a particular guest entry in the registration book, and finding a stash of old coins and puzzling footprints. Her guardian, Mr. Johnson, investigates the lodge’s history and learns it was once owned by a notorious gangster. Sophie’s suspicions increase when she and her friends return to the lodge and realize someone else was searching the rooms. Their sleuthing picks up surprising clues that help the sheriff link unsolved cases. Sophie’s estranged Uncle Titus believes he should be her guardian, but Mr. Johnson is wary of him, much to his displeasure. The Secret of Trail House Lodge is a lovely sleuth mystery, especially with its main character. Sophie is a high-spirited teen who is clever and brave with a keen sense of perception. It is a suspenseful story that sees the teens take on investigative roles, despite the risks they encounter. The interaction among the characters, both good and evil, is sharp. Sophie can be a bit rebellious, but this probably comes from her dismal past. This is Madge H. Gressley’s second book in the Sophie Collins Mystery series. The mystery interested me, but so did Sophie, whose present lifestyle was entirely different to what she was accustomed to. Book 1. The Red Coat, is another mystery that sees Sophie’s luck change. Madge H. Gressley’s book is recommended. 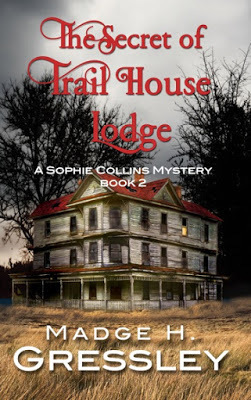 The Secret of Trail House Lodge is the second book in a mystery series starring Sophie Collins. Sophie, a fourteen year old girl, has only recently become heiress to the Morsey Estate. She, as most young adults her age, is still trying to find her way. Grayson, her caretaker, wishes she would act more dignified and ladylike, but Sophie is a tomboy at heart and not ready to grow up quite yet. Sophie and her friends Beth Martin, Tommy Logan, and Tyler Blakemore love exploring together and finding mysteries. In this second book in the series, Tommy and his cousin Matt stumble upon an abandoned old house up in the woods. The four friends decide that this would be a great place to explore as they might find some ghosts or at least a mystery or two. While hunting they find out that this building used to be a hotel which was shut down after a lawyer named Stanley Higgins disappeared. During their search they find secret passageways and hidden rooms, one of which even contains a mummified corpse. Will the four young detectives be able to uncover the mystery that is Trail House Lodge? When I picked this book to review, I was leery as the description stated this was book two in the series. I wasn’t sure if it would stand alone or if I would get lost while reading. My fears were unfounded, however, as the author does a great job clueing us in. There were only a few missing pieces that overall do not affect the readability of this book on its own. Most notably we do not learn exactly who Mr. Johnson is in relation to Sophie until the middle of the book, and I feel certain the first book would clarify this. The mark of a great book in a series is if the book makes you hungry to read the rest, and I’m happy to say this is a great book. It captured my attention pushing me to finish to the very end. Good, clean mysteries like this one are hard to find at the young adult level. This reminds me of the Nancy Drew Series or the Hardy Boys Series, which used to be very popular. This book is a breath of fresh air in a market saturated with science fiction and thrillers. In my opinion, we need more books out there along these lines. While I appreciate the genre, I’m not sure the author could decide what age level to write this book for. I would agree that it’s a young adult book, and yet the reading level is a little too simple to be suited for older teenagers. Along those lines, one particular character likes to swear, and because of this, it would not be suitable for pre-teens to early teenagers. Unfortunately, the editing in this book also leaves much to be desired. I spotted missed words, commas in the wrong places, and two different tenses in the same sentence. Here is an example of a comma hanging out in the middle of a sentence: “(She) noticed nothing different except the suitcase, Tyler had gone through yesterday was now sitting on the floor.” These mistakes happen too often to ignore and even interfere with the reading of the story. Another point worth mentioning was the use of vernacular by the author, Madge Gressley. It appears she’s trying to use a southern accent for the characters, but I found the dialogue to be stilted and hard to read because of this. The characters seem to enjoy the use of the non-word ‘n. Sophie at one point says, “’N yes. I have my cell.” This is only one instance of many throughout the book to which I had a hard time adjusting; however, this is more of a preference, so I did not count this against the author. Overall, I rate this book a 3 out of 4. 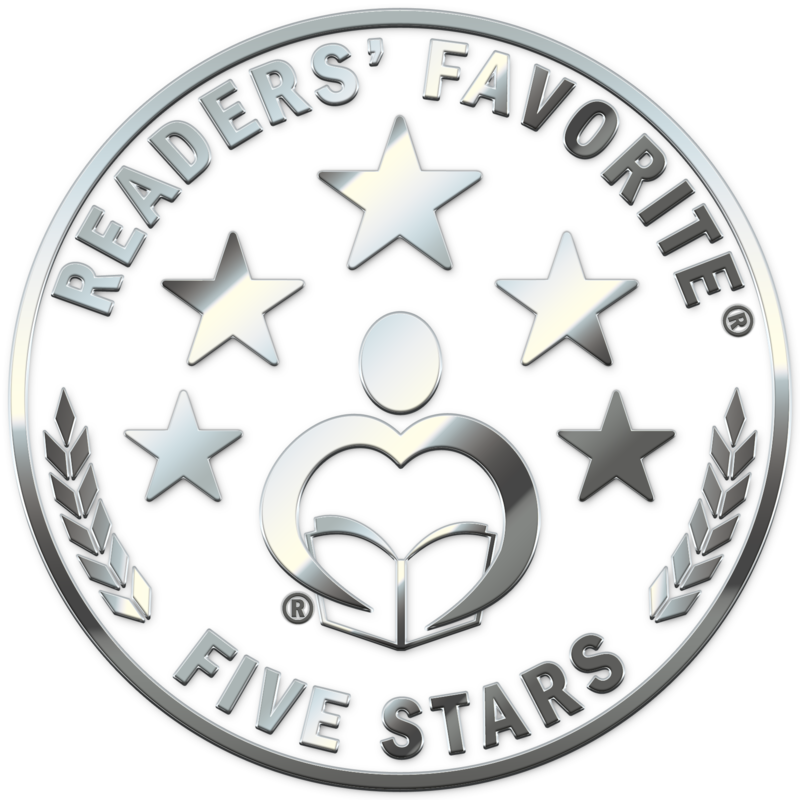 The plot was extremely enjoyable, and I loved how easy it was not only to read but to really get into the story. I cannot give it a perfect rating, however, because of the many mistakes as well as the confusion as to reading level. I would recommend the book as it is exciting and easy to read, but it might warrant screening by the parents for the younger readers.